You may remember 6 months ago the beautiful story of how Daegen found his way to his Mom and Dad. It was a round about way, but through a series of miracles and direct help from the other side of the veil, Daegen found Brock and Amy. After six months the adoptions is final. 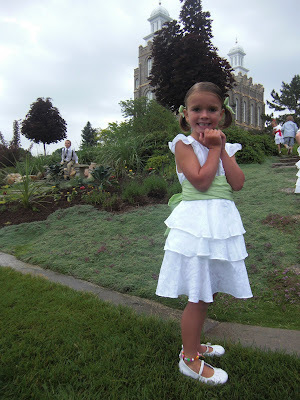 Daegen was sealed to Brock and Amy for time and all eternity in the Logan Temple. 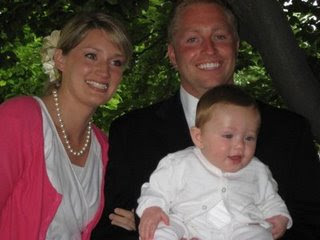 Brock and Amy were sealed when they were married in the temple 6 years ago. However, because their baby was not born biologically he needed to sealed to be part of their family. 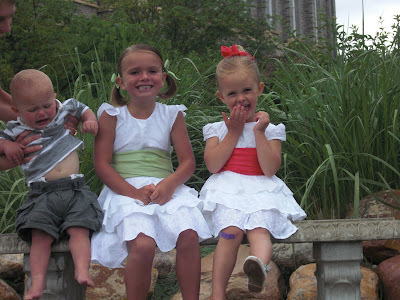 Now as Brock says, Daegen doesn't haven't to be a lonely soul in this life or the next! Hooray for forever families. 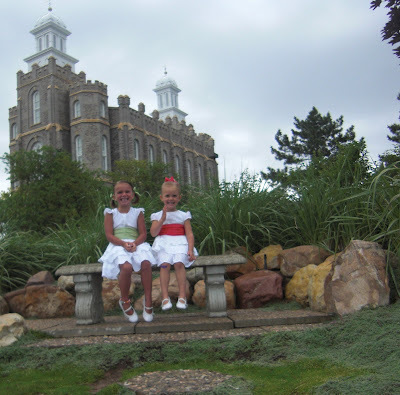 Here are a few shots of the children outside the temple. We were experiencing intermittent cloud bursts so the family pictures didn't go off as designed. Emmett was thrilled by the entire experience. 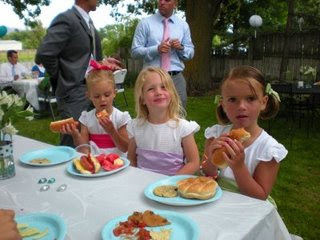 Way to go Charlotte on sewing her first dresses for her girls. Elizabeth was stunning in her white and lavender. Brock blessed him after the temple sealing, at their home. And Amy had prepared a beautiful luncheon. 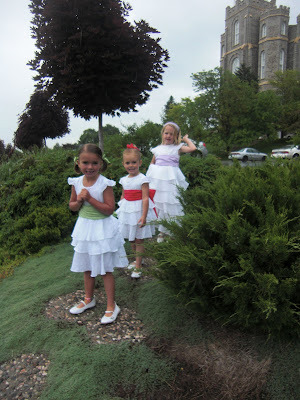 Here are the girls and their cousin Elizabeth in their white dresses sewn specially for the occasion.